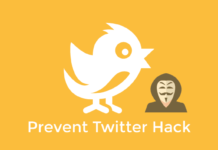 In my previous post, I explain the easy method to hack facebook, WhatsApp, Instagram, etc. So you need to read my previous post because this was read the article, and now many of my friends ask me for email that “How to hack Facebook id using phishing attack” because it is the most powerful trick to get your username and password for any of your victims or your Facebook friend account. 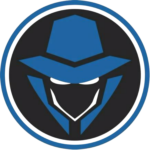 It also gets the idea of this post-Facebook script with which You are able Hack Facebook id Using Phishing Attack in less time and with a click if you want to check below to see the best of Facebook screenplay 2019. 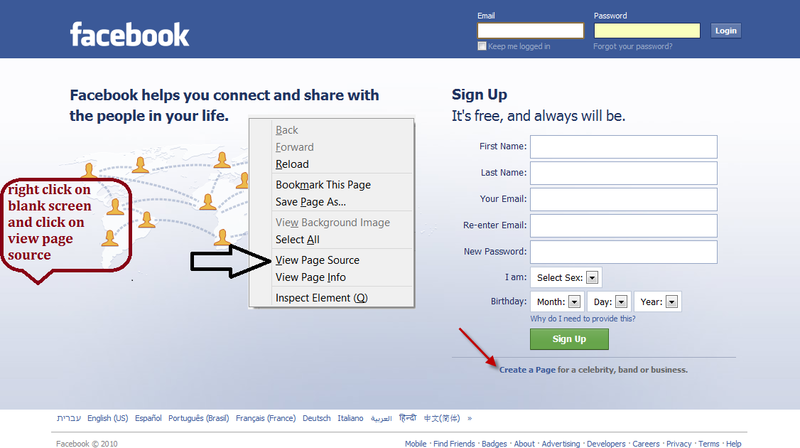 Now, today we will provide you with a detailed guide to creating phishing page Facebook easily I mean the fake page also gives you pre-made fake Facebook website at the end of this article. Seriously I’m telling you, Do phishing page is not a very difficult task because you are thinking about information and type I just want to tell you is so simple to make a page like eating comfy. 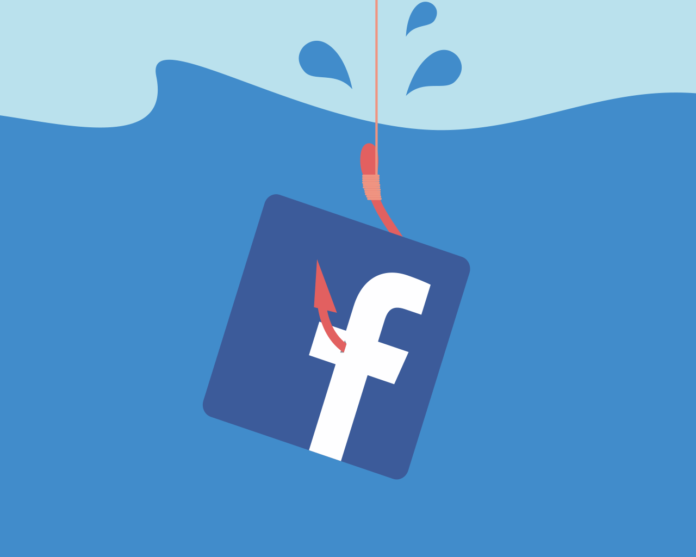 Generally phishing, hackers Hack Facebook ID Using Phishing Attack method extensively attack Because it now becomes the most used method for affecting social accounts like FB. Phishing page is also known as false pages or duplicate pages. 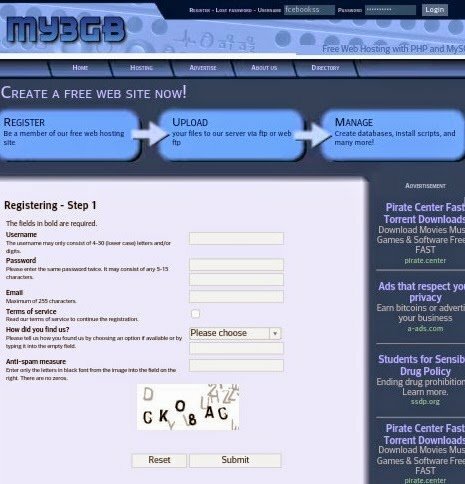 In this method, we created a fake Facebook page home page that looks like the original and uploads it to a web hosting site so anyone can access it via the Internet. As you know when we get something, we receive links or URLs to that particular file, so we have a link to my website hosting page and this link is called phishing link. When we will send this link to your victim and when they target the victim Opening a fake page will open and that this is the original Facebook page, but the reality you know well. As soon as he/she enter your username and password blindly all of their details automatically sent to the hacker (like you), below the steps below tell how? In this “Hack Facebook ID Using Phishing Attack” tutorial using the phishing method, you learn how hackers access Facebook with the help of phishing and also learn how you can create phishing pages for free. Note: If you do not want to follow the phishing procedure on Facebook, then you can give me an order to make an account for you, and I charged only $ 32, and when I receive the order that will provide a phishing link work Your own web hosting account and also give some additional information on how u can get the victim’s password, and how to convince his victim, will personally guide you by email, if you are interested in buying a phishing connection you need me charged only $ 32 that is useful for me to maintain a quality server on my website. If you want unrecognizable Facebook phishing page then contact me my email id is [email protected] and PayPal payment accepted only. 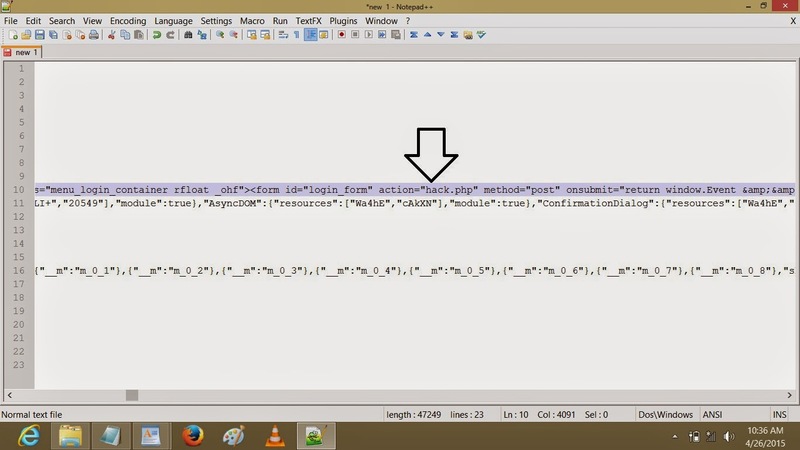 Now let’s start our tutorial which is all about how to make Facebook phishing page Hack Facebook ID Using Phishing Attack without having the knowledge of any type of coding. Step:1) first of all Go to the Facebook.com From your computer’s Mozilla Firefox web browser. Step:3) now a pop-up window will be open with the source code of the Facebook page, Simply you need to Copy the full code by using Ctrl+c from your windows system. 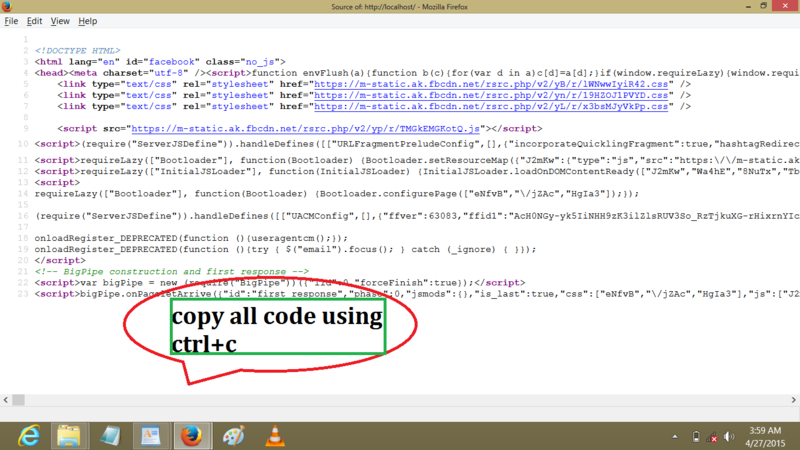 Step:9) now you need to create a PHP file, below for this Open a new notepad again and copy below code and save it with the name hack.php. 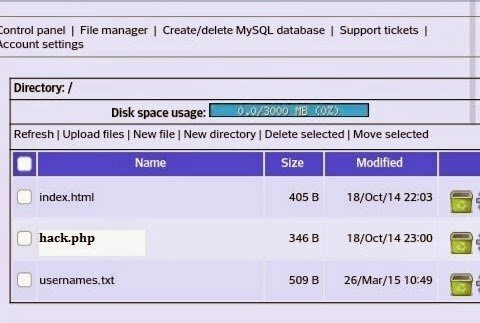 If you face some problem during creating phishing files index.htm and hack PHP for facebook then don’t worry now I am going to short out all the 10 steps given above. Actually, My work is to explain everything from a low level to high for a newbie, that’s why the overall procedure has many no. Of steps. But now we are going to Shrink all above given 10 steps and do our task in only 3 steps. See below-given steps and do as it is. Step:12) I prefer my3gb.com because it is easy to use first of all go to www.my3gb.com and click on the register button. 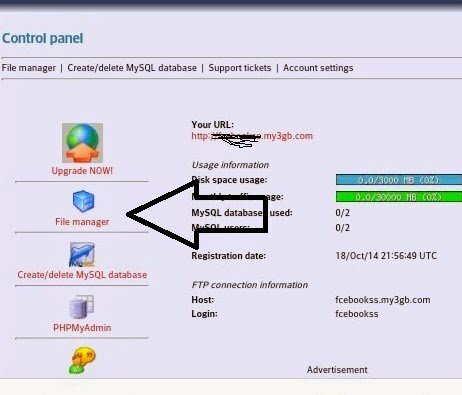 Step:15) when you open your account you see control panel like below picture, now click on the file manager. 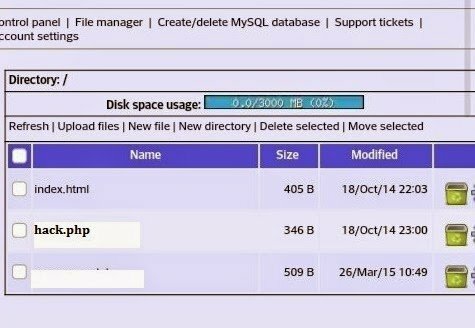 Step:16) now file manager will open and you need to upload index.htm and hack.php file, files button simply clarifies button and upload both files there after uploading it look like below picture. Step:18) Now you almost did simply send this link to your victim or friends. Step:19) When victim open that link he sees a fake Facebook page which looks like real and enters their username and password and hit login, his password send to your my3gb account. 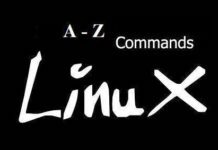 Step:20) For seeing password simply go to my3gb.com >>control panel >>file manager, and here you see a new file with name usernames.txt.open it and see the password. You can not send your phishing link to friends on Facebook because Facebook detects and displays the warning to remove that link on your desktop or mobile device. 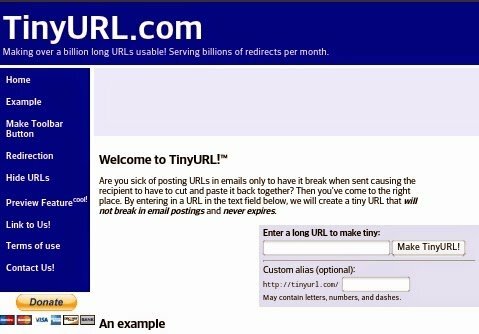 Past your phishing URL in the box and hit make tiny URL button. After that, you get your short link simply send that link to your friends. 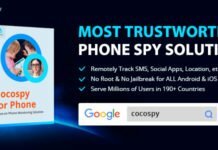 Entrepreneur, Hacker, Motivational Speaker, Human Trainer, Pro Digital Marketer, Founder, And CEO- Official Hacker And Be Like Billionaire, Co-Founder: IDigital CEO Co.
Cocospy Hidden Spy App: What Are Some of Cocospy Best Features? hi, i used this and i got results from this trick…. why I can’t find action in the web source? One of the most basic trick to hack down someone’s Facebook ID. Hahaha, nice one. Nowadays there are many noobs out there willing to hack FB with phishing. This will guide them and let them know the “less” scope of possiblity to hack into FB account with this method. Btw, thanks for this information.